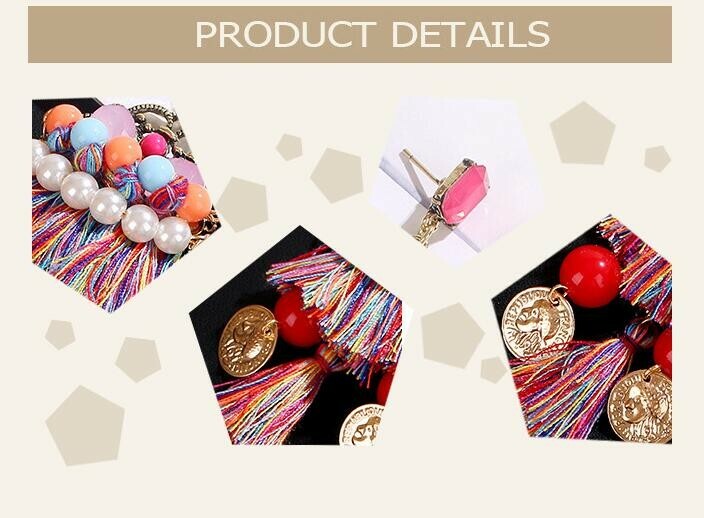 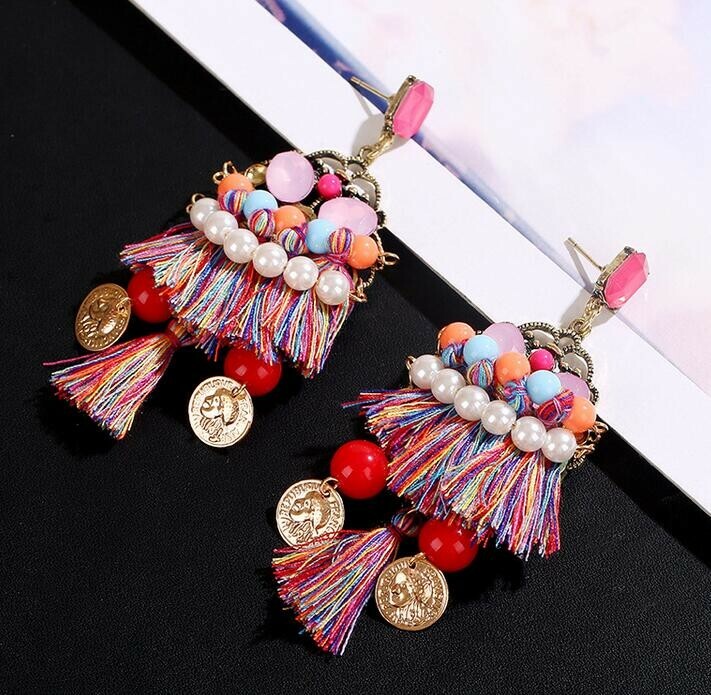 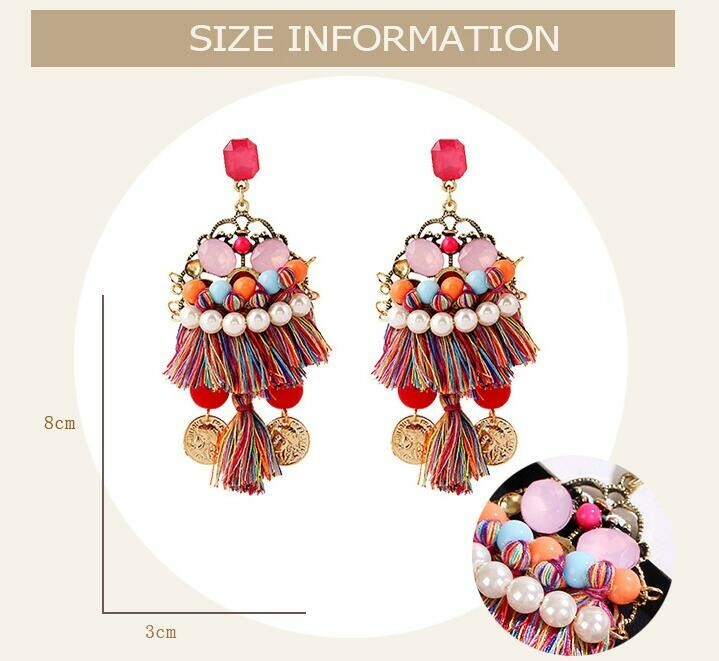 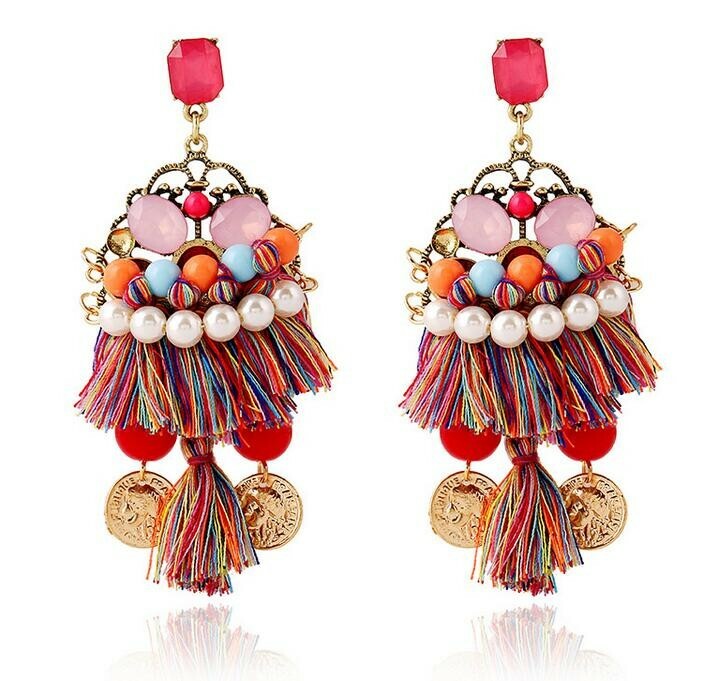 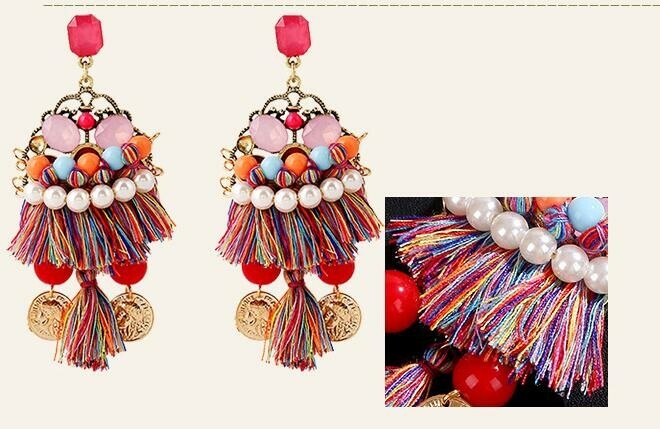 The princess looked simply charming everytime, and now you also can enhance any stylish fashion look with these colorful tassels chandelier earrings. 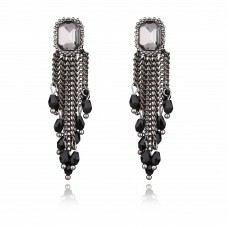 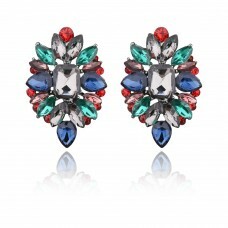 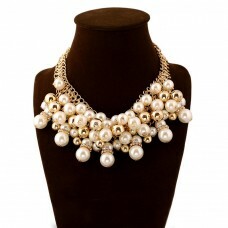 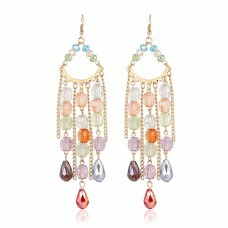 Each earring features a colorful handmade braided rope tassels for a classic drop appearance. 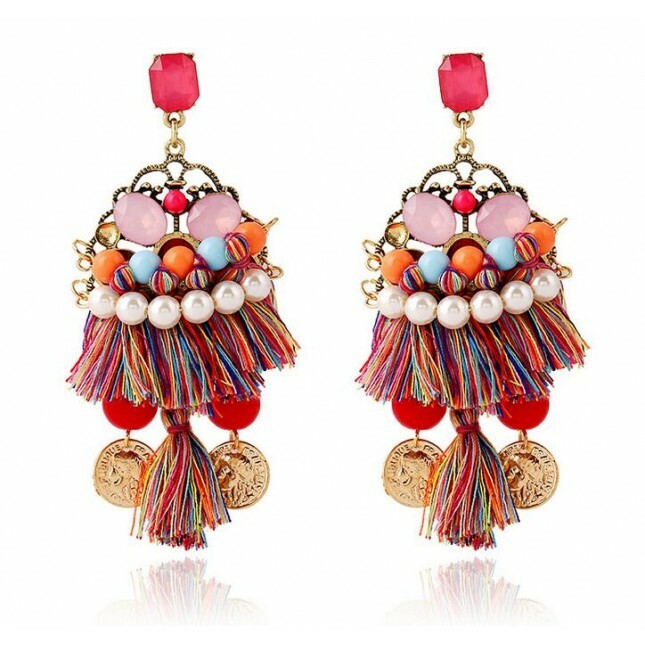 Dangling on top of the tassels is a row of white pearls and pink opal, is a unique charm truly memorable earrings for every occasions.